With 2018 winding down quickly, ’tis the season to take stock. Since retirement, my biggest avocation has been travel. Counting all of the nights this year that we did not sleep in our own bed, I counted 114, or almost a third of the year. All of our travel this year was domestic, with only two day-trips to Canada. 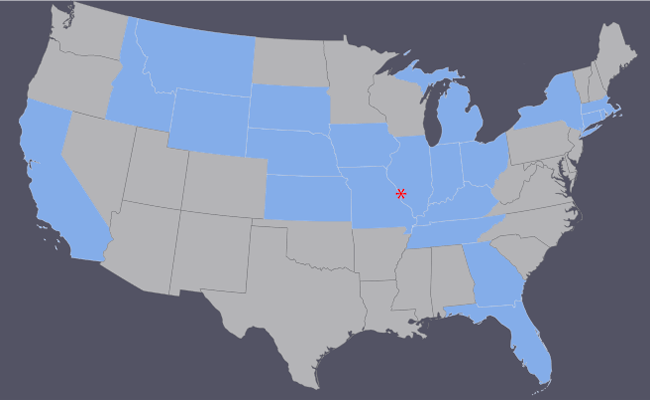 From our centrally located home in Saint Louis, we visited 21 states. Because most of our travel was by car, we also won the license plate game twice, with both times finding Hawaii, the holy grail, within a mile of the house. We put somewhere north of 10,000 miles on the Prius. Driving first to Key West, next to Glacier and finally to Lake Superior. We flew twice to California and then into NYC and out of Boston. We also sandwiched in a few overnight driving trips, where we remained closer to home and stayed in the Midwest. Five photos really don’t do justice to all that we have seen this year, so here are a few more. We are already making our 2019 travel plans, so that in a year, we will have even more to report. 2018 has been a fun journey. See you on the road again soon, in the new year.